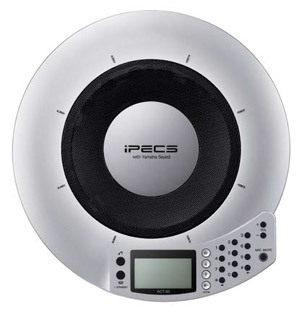 The ACT-50 (iPECS Audio Conference Terminal) is an advanced full-duplex speakerphone for enterprises. It delivers high performance audio conferencing and supports multiple sources. Just connect to the LAN and ACT-50 is ready to bring your conference experience to a new level with advanced audio technology and high-fidelity sound. It supports three built-in interfaces – LAN, LINE and Audio (in /out) – and the integrated Audio Mixer to connect between any types of interfaces.